Will be shipped dinsdag, april 23 when ordered within 19 hours and 55 minutes! Soundaware A280 (NEW 2016!) 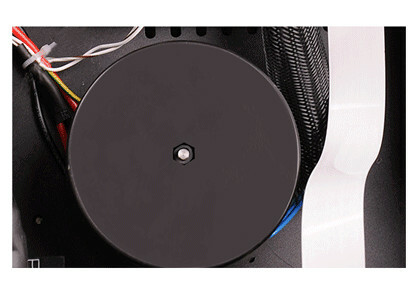 - a digital player, which is based on the patented technology of high-quality playback of Soundaware. 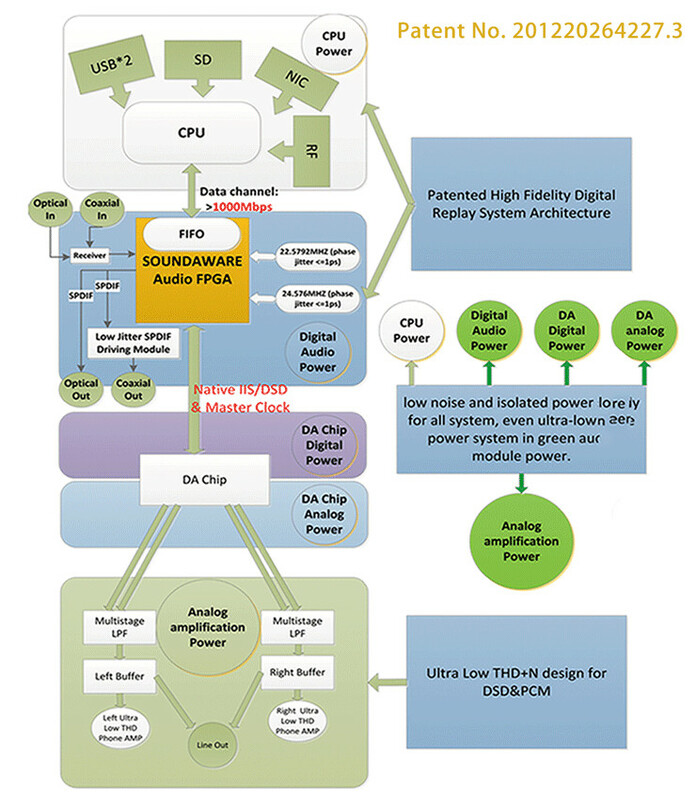 This technology is based on the use of FPGA and two generators for a tuft dekadirovaniya audio files, while providing a very high quality reproduction and minimal jitter. 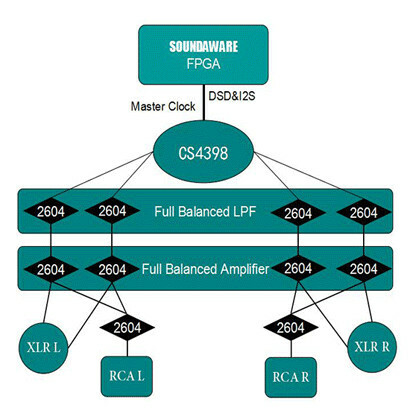 The CPU in Soundaware A280 is completely isolated from the audio signal processing (operation FPGA and shred-generators), thus providing the best sound quality. The DAC of the CS4398 chip is used. Network player Soundaware A280 plays DSD64 files without conversion to PCM format and without the use of any filter that ensures the most accurate reproduction of the format. The A280 uses fully balanced operation and balanced circuit LPF (which is much better than unbalanced LPF). As a result of THD + N rate reaches a level of less than 0.00067%! Equally low figure is crosstalk. All signals after the digital-to-analog conversion is processed operational amplifiers OPA2604. In Soundaware A280 very closely study the issue of food: Use high-quality indoor transformer with double shielding and complete system voltage stabilization. Embodiment I - has no built-in amplifier for headphones, digital inputs: coaxial and optical outputs coaxial. Option II - with built-in headphone amplifier, digital inputs: There are no digital outputs: coaxial and optical. Option III - a headphone amplifier, digital inputs: coaxial and optical outputs coaxial. Select the device, the most suitable for you. You can also use Soundaware A280 with CD-transport Soundaware CD-the One , play CD's and completely copy them to your hard drive. Soundaware A280 housing is made of aluminum (CNC), and the front panel depending on the lighting may be gray or silver. 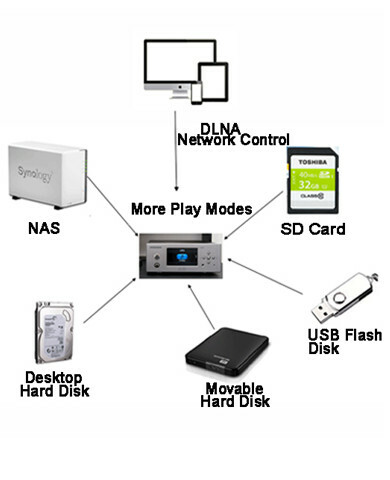 You can play music from an SD card, a variety of USB drives, NAS and so on. Any installed application on your phone, tablet, or computer will enable remote control of playback A280. Implemented support for devices running Android OS and iOS. You can also listen to various Internet radio stations and cloud services using multiple applications for devices running Android OS. You just need to install it on your mobile or tablet app Bubble UPnP (licensed version for 140 rubles) and XiiaLive (free). The latter application - it is just a collection of a variety of Internet radio. Run it, select the desired radio station and play ... has begun!